Kathryn Haglin earned her B.A. in Political Science from the University of Minnesota and her Ph.D. in Political Science from Texas A&M University. 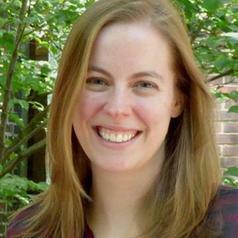 She was a Predoctoral Research Fellow at the Institute for Science, Technology, and Public Policy (ISTPP) in the George Bush School of Government and Public Service.​ Her Ph.D. research examined the politics of science to address questions related to political knowledge, political ​identities, and information processing. Haglin is currently the Arlin M. and Neysa Adams Postdoctoral Fellow at the Annenberg Public Policy Center, studying ways to overcome human biases that affect communication of sound science and the role of science curiosity in science polarization.